Joseph C. Miller is a lawyer, but is a husband and father first. Joe is married to the most wonderful woman in the world. In fact, his wife, Shelly, works with him as the office receptionist and legal assistant. They have five beautiful and intelligent daughters, ages 21 to 15. They love to do things as a family, especially hiking, rollerblading, camping, and boating. His hobbies include reading, working around the house, snowboarding, waterskiing, and spending time with his wife and kids. They love movies and music and all things creative and artistic. Joe is an Idaho native, born in Coeur d’Alene, Idaho, and raised in Boise. He attended Boise State University where he and Shelly met. He earned a Bachelor of Arts degree at Boise State and was inducted into the Golden Key International Honor Society. In 2003, he enrolled at the University of Idaho College of Law and received his Juris Doctorate in 2006. In law school, he was on the Mock Trial Team for two years and was awarded the title of Best Advocate in spring, 2006. He was elected President of Board of Student Advocates and the Delta Theta Phi Legal Fraternity in the spring of 2005. Joe has over eighteen years of experience in the legal field. Having spent the majority of his life in Boise, he is dedicated to helping the Boise community. He is also fluent in Spanish and has helped dozens of Latino clients with a variety of legal issues and is committed to helping the local Hispanic community. Joe is an experienced litigation attorney in the fields of criminal defense and personal injury. He has extensive courtroom and trial experience and has won several victories for his clients. 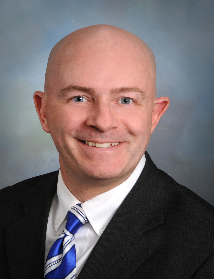 He is licensed in both the Idaho State and Federal District courts and has represented clients in nearly all of the counties in southwest Idaho, as well as in Bannock and Caribou Counties in southeast Idaho. Joe has been an active member of both the Idaho Trial Lawyers Association (ITLA) and the Idaho Association of Criminal Defense Lawyers (IdACDL) since opening his practice in 2006. In the fall of 2008, he accepted an invitation to serve as a member of the Publications Committee of ITLA, and published case law summaries in numerous editions of the ITLA Journal. In the fall of 2009, he accepted an invitation to serve on the ITLA Board of Directors as co-chair of the Emerging Leaders Section. In early 2010, Joe was selected to join a Rotary International Group Study Exchange Team from Idaho District 5400. He participated in a 30-day cultural and peace exchange to southern Brazil where he toured several local Rotary service projects, made presentations on Idaho Rotary service projects, and became conversational in Portuguese. Joe has twice been invited to present a criminal case update at the annual Fourth District Bar Association Spring Case Review. Joe is an Eagle Scout and an active member of his LDS ward.